As most readers will know I’ve been reviewing for the Leicester Mercury for the last couple of years, and putting some of the more interesting reviews on here. Sadly the paper has decided to take the reviews “in house” – meaning they don’t have to pay an experienced freelancer like me but a staffer can do it as part of their job. Freelance people of any stripe will be aware of this phenomenon. So no more Mercury reviews here I’m afraid – but I will try and keep the blog going with whatever news and reviews I can manage under my own steam. Here’s the last review done for the Mercury, based on an enjoyable couple of visits to a new Italian restaurant in Stoneygate. ‘It’s not that “nouveau cuisine” is it?” asked the middle-aged man, warily. The waiter had just started to explain to him that Marabel is a cicchetti restaurant, featuring small plates for sharing and he seemed to feel he might be left hungry. Maintaining his equilibrium with admirable poise, the waiter suggested how he might like to order and assured him that the food would be nice and filling. I suspect his little cameo may have been played several times over the last month since Marabel opened in the premises that previously housed the bar Mason and Brooke. Even in a place as apparently sophisticated as Stoneygate the concept of cicchetti doesn’t seem to have trickled down into the zeitgeist in the same way as tapas. But it is essentially the same concept, starting in the bars of Venice as simple sandwiches or snacks served with a drink, and later becoming pretty much synonymous with small versions of the national cuisine in a restaurant setting. Marabel’s menu is a wide ranging collection of enticing Italian dishes at around £4 to £6 each plus the odd Spanish influence (patatas bravas should make the tapas penny drop). Appetisers such as San Daniele prosciutto with parmesan and aged balsamic set the tone for dishes that major on good ingredients treated simply and with a strong sense for flavour combinations. And on our first lunchtime visit that’s exactly what we got. Crab piadinas (above) were delightful – flat breads stuffed with a well-balanced combination of crabmeat, lemon and mascapone. Pea and basil arancini were similarly excellent – deep-fried rice balls in a thin, crisp crumb with a garlicky mayonnaise, while a spinach and rocket salad was simple and fresh with plenty of thick shavings of parmesan. More substantial was a pasta dish of penne with 12-hour cooked beef ragu, a dish you’ve no doubt cooked at home but here was a genuine depth of flavour that made it restaurant-worthy. 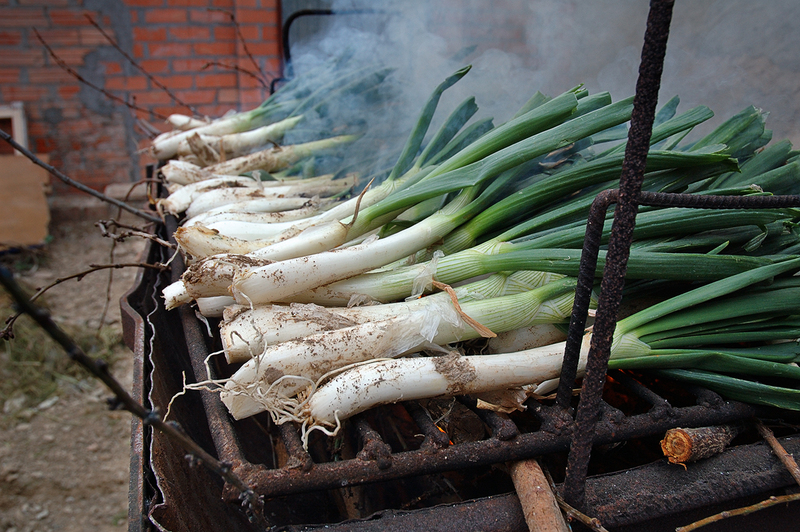 The same criteria I suppose applied to a lamb skewer (below – slatophobes fear not, you do get provided with plates too) which had had been marinated in an oil, paprika chilli and mint to very good effect – the meat had been threaded with onions and peppers and barbecued in a clay oven. All these dishes were very well seasoned and dressed with herbs, crumbs, parmesan or oil – they felt cared for and designed to please. The restaurant also describes itself as a wine bar and indeed the wine list is excellent, bearing the clear imprint of Simon March of Evington’s on Evington Rd. A shame then only two of each colour seem to be available by the glass. We certainly enjoyed the inevitable pinot grigio and a light, easy-going Bardolino that was full of cherries, but with Evington’s being my local shop I’m familiar with the wines on that list and with food as full-flavoured as this it would have been good to try something with more oomph such as the Marius Reserva from Southern Spain or the Salice Salentino Sampietrana from Puglia. Anyway, I was keen to go back for an evening meal and this time picked some of the heftier dishes. Belly of pork was terrific, with soft, unctuous meat with sweet apple sauce and crispy sage leaves. The chicken cacciatora (literally hunter’s chicken) certainly had plenty of flavour but to my taste the tomato sauce was over-reduced and the dish was left a little dry, especially as only breast meat appeared to have been used. My mamma’s version (ok, granted, she’s from Battersea not Bologna) used moist leg and thigh meat and had plenty of sauce. A final dish of wild mushrooms in a creamy, garlicky sauce was exactly as it should be, ludicrously indulgent and terrifically tasty. There’s little here that breaks boundaries or which will change your opinion of Italian cuisine but the food appears to be lovingly prepared by people who care about flavour and know how to treat ingredients. The environment and the service are very pleasant too. I think the format works a little better for a light lunch rather than a slap-up dinner but this is good food that will keep local peers such as neighbours Timo and Queens Rd tapas bar Barceloneta on their toes. 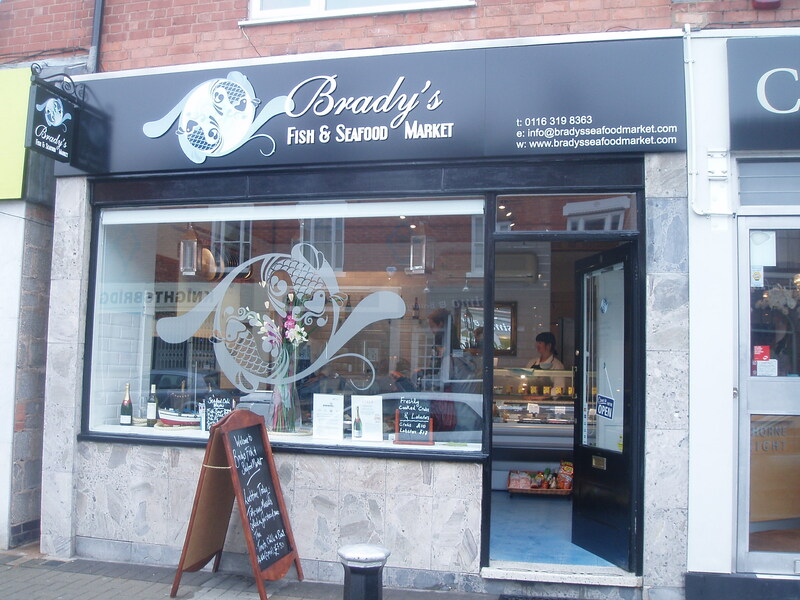 Had a nice chat this morning with Nigel and Zoe Brady, owners of a new fishmongers on Stoneygate’s Allandale Road. Zoe is a local, Nigel a Dubliner with a background that varies from butchery to cancer research but the couple have been planning a fish and seafood shop for a couple of years. We’ve got a fish market in the city centre, and of course big supermarkets tend to have fish counters, but I think there has to be a place for a neighbourhood fish shop. Especially one like this that seems to do it the right way. They get deliveries from South and East coast ports every morning at 7am, all from day boats, so the emphasis is very much on freshness, seasonality and sustainability. Nigel reckons 95 per cent of his fish is from British waters, and while they do stock North Atlantic cod and haddock they are very keen to wean people off these traditional species and inspire and educate people about alternatives. So the relatively small and beautifully displayed stock includes dabs, at just £1 each, red gurnard fillets, gilthead bream as well as Scottish langoustines and Norfolk crab and lobster. Scallops have been flying out this week thanks it seems to a colour supplement recipe at the weekend, and also on the slab today were brill, turbot, monkfish, squid, razor clams and oysters. They cater for a lunchtime market with hot dishes to take away – today’s dish was mussels in tomato and chilli – and home made dishes including fish pies, smoked salmon pate, taramasalata and pasta salads. Recipe cards to inspire creative use of their fish are planned and the shop is licensed so they can recommend and sell you a nice chilled bottle of Sancerre or Champagne if you’re in the market for it. The shop is open until 6pm early in the week and until 7pm on Thursday and Fridays, making it highly convenient for picking up something for the weekend. I just picked up a few extras today such as nam pla, smoked Cornish seasalt and a few chillies, but I’ll be back soon to try the fish. Edit January 2013: Nigel and Zoe have relocated their business to Northamptonshire -specifically to the wonderful Beckworth Emporium near Mears Ashby.It’s worth a drive out to this huge garden centee and mega-farmshop – if you do make it and see Nigel, tell him I sent you.